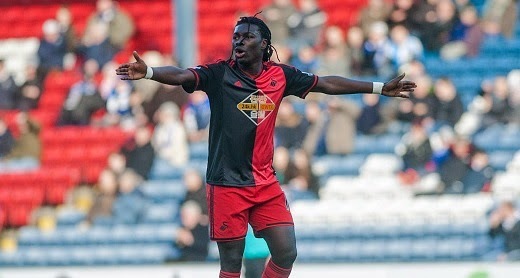 West Ham to fight Arsenal for Bafetimbi Gomis According to reports, Arsenal have Bafetimbi Gomis in their target list and they are in the chase to get the Swansea City player. According to reports, Arsenal have Bafetimbi Gomis in their target list and they are in the chase to get the Swansea City player. There are some reports which say that apart from Arsenal, West Ham United are also eyeing to get Gomis and they have joined the race to get him. Gomis isn’t happy at Swansea City because of the fact that he isn’t getting proper playing time, despite of the departure of Wilfried Bony. He said that he was promised more playing time when he signed the contract with Swansea but the promised was not kept and that’s why he is planning to exit. Manager Gary Monk is trying his best to resolve this situation and he had several talks with his player Gomis regarding this issue. West Ham saw this situation as an ideal one to get the player. Sam Allardyce, the West Ham boss is keen to bring Gomis to his ranks. Arsenal in the past have been linked with Gomis but now they are linked again and this time the Gunners might be able to bring him in their squad. Monk is trying everything to stop Gomis from leaving because already one of his star player Wilfried Bony has just left Swansea to join Manchester City.